Ah, yes, that was probably to brief an abbreviation. To be clear, I LOVE Hobbes, and I both teach him and read him for pleasure all the time. In fact the title quote for the 3rd volume in “Terra Ignota” comes from Leviathan. 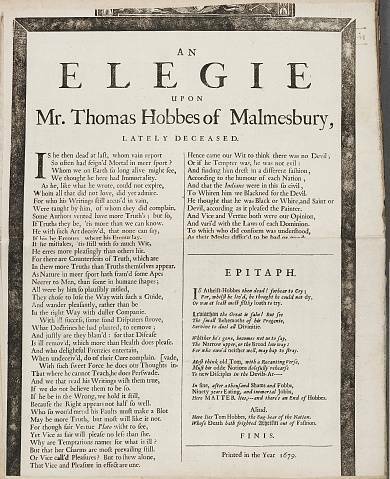 The Hobbes reference referred, not to my opinion of him or modern opinions on him, but contemporary opinions of him, how hated and feared he was by his peers in the mid-17th century. I’ll treat him more in the next iteration(s) of my skepticism series, but in brief Hobbes was a student of Bacon (he was actually Bacon’s amanuensis for a while) and used Bacon’s new techniques of observation and methodical reasoning with absolute mastery, BUT used them to come to conclusions that were absolutely terrifying to his peers, attacking the dignity of the human race, the foundations of government, the pillars of morality of his day, in ways whose true terror are hard for us to feel when we read Leviathan in retrospect, having accepted many of Hobbes’s ideas and being armored against the others by John Locke. But among his contemporaries, “The Beast of Malmsbury” as he was called, held an unmatched status as the intellectual terror of his day. In fact there are few thinkers ever in history who were so universally feared and hated–it’s only a slight exaggeration to say that for the two decades after the publication of Leviathan, the sole goal of western European philosophy was to find some way to refute Thomas Hobbes WITHOUT (here’s the tricky part) undermining Bacon. Because Bacon was light, hope, progress, the promise of a better future, and Hobbes was THE BEST wielder of Bacon’s techniques. So they couldn’t just DISMISS Hobbes without undermining Bacon, they had to find a way to take Hobbes on in his own terms and Bacon better than Hobbes did. It took 20 years and John Locke to achieve that, but in the meantime Hobbes so terrified his peers that they literally rewrote the laws of England more than once to extend censorship enough to silence Hobbes. So I chose Hobbes as an example because he’s really the first “backfire” of Bacon, the first unexpected, unintended consequence of the new method. 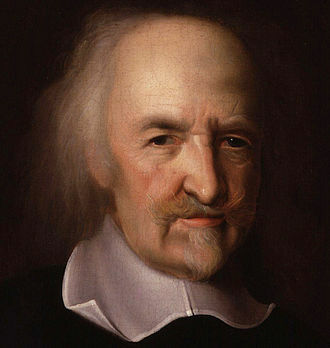 Hobbes’s book didn’t cause any atrocities, didn’t result in wars or massacres, but it did spread terror through the entire intellectual world, and was the first sniff of the scarier places that thought would go once Bacon’s call to examine EVERYTHING genuinely did examine everything… even things people did NOT want anyone to doubt. So while Hobbes is wonderful, from the perspective of his contemporaries he was the first warning sign that progress cannot be controlled, and that, while it will change parts of society we think are bad, it will change the parts we value too. Hope that helps clear it up? I’ll discuss Hobbes more in later works. Another breath-taking, illuminating essay! Thanks so much for sharing your knowledge and insights. It’s people like you who give me hope for the future. A small correction: Hobbes lived to be 91, not 79. You’re correct, unknown friend! Probably a typo on Ada’s part that I didn’t notice when making the comment into a post. Fixed now, thank you very much.